I love it that the Apple Watch includes a built-in heart rate monitor. But I sometimes fail to take much notice of the data it sends over to my iPhone. This is because the iOS Health app, though complex, doesn’t offer the best experience for users looking to check on their heart rate information. 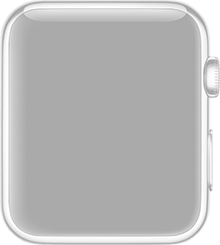 Instead, a far better solution is HeartWatch, an iPhone application that recently received a major update bringing new features to the table. HeartWatch can be yours for $2.99: it’s optimized for the iPhone/iPod touch and Apple Watch. When you first install HeartWatch, the app pools in your data from the Health app and presents it in the application’s nicer, more interactive user interface (UI). It takes a minute or so for the app to get hold of all your data, but it’s worth it. Once available, users can check back on their heart rate history using HeartWatch’s unique graphical interface, which represent time zones overlaid with an average. Tapping on an individual day’s readings provides even further insight, with HeartWatch breaking down your average, minimum, and maximum readings for the day; offering insight on your day’s performance versus your historical readings; and placing the day’s average in context (against the backdrop of week). There’s even more information if users tap on the HeartWatch icon again, with the app presenting periods of activity and allowing users to pinpoint precisely when their heart rate climbed to higher levels. HeartWatch lets you see how your heart is beating across four simple views. Waking, Regular, Workout & Sleeping. Each of these views are isolated because, while you may want a higher heart rate during a workout, if your heart is racing when you aren’t doing any exercise then this is likely not a good thing and probably something you might want to show your medical practitioner. When heart rate exceeds a bpm value. When heart rate drops below a bpm value. A daily reminder to check how you’ve gone today. So, if you work out or even have a vague interest in the heart rate readings your Apple Watch is gathering throughout the day, consider taking HeartWatch for a spin. You can pick up the application for $2.99 now.